Searching old newspapers has uncovered three family members who were either mentioned or were witnesses at three separate murder trials. They were my ggg grandmother, a cousin and to my surprise, my grandfather. The earliest of these was known at the time as the “Casterton Murders“. 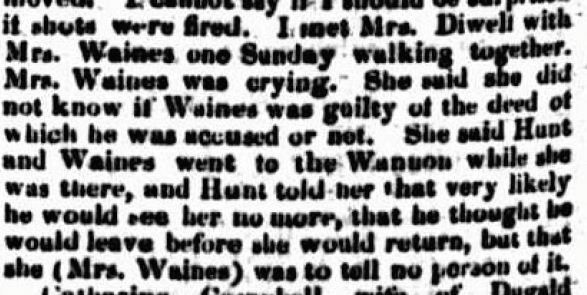 My ggg grandmother Margaret Ann Turner, (Mrs Diwell) was mentioned at an inquest in February 1860, which ended with Casterton man, George Waines, being placed on trial for the murder of Robert and Mary Hunt, also of Casterton. The Hunts had not been seen since 1858, with many believing they had left the colony. George Waines claimed he had brought furniture off them, but rumours spread around the town that George may have been responsible for their disappearance. The local police investigated and were unable to find the Hunts in the other colonies or New Zealand. This was a gruesome murder, but it captured the attention of people around Australia. I found sixty articles from four states. Many are detailed, including forensic evidence, a letter to the editor from the autopsy surgeon and George’s confession. He was eventually hung at Melbourne Gaol. The second murder trial had it all. A small country town, married Methodist preacher, a young, single, grazier’s daughter, and arsenic. 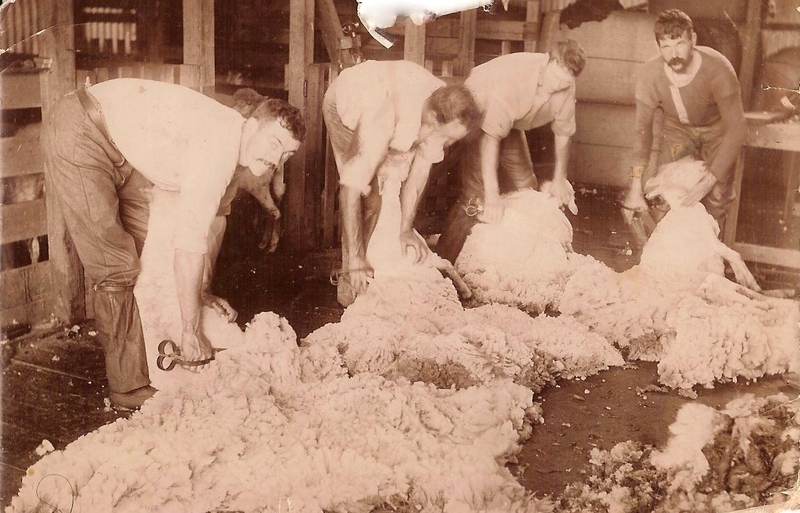 A search at Trove for “Omeo 1928” brings up hundreds of articles and I found a Western District connection. 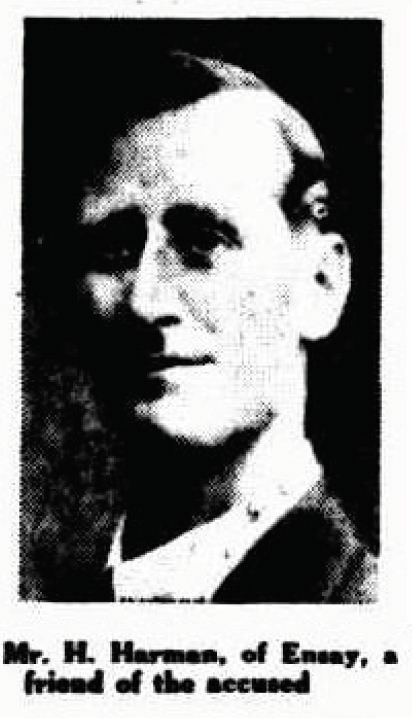 Ronald Griggs moved to Omeo to take up the role of Methodist minister, moving into the residence with wife Ethel. Originally from Tasmania, Ronald and Ethel were welcomed into the community by the elders of the church including John Condon and his wife Frances. After meeting John and Frances’ daughter Lottie, Ronald (left) was a regular visitor to the Condon property. Ethel was pushed to the outer and after giving birth to their first child, she returned to Tasmania spend time with her parents. Ronald and Lottie’s “meetings’ became more frequent, but Ethel, (right) inconveniently for Ronald, returned to Omeo. Only days later, she fell ill and died after several days of severe pain. Thanks to a suspicious local policeman, the case was taken further and Ethel’s body was exhumed for an autopsy. Arsenic was present in her body. Ronald was charged with murder. Henry Harman was the son of Walter Harman and grandson of Joseph Harman. He was a well known Ensay grazier and Omeo Methodist church elder. Henry was called to give evidence against Ronald Griggs, a man he described as a friend. I found a photo of Henry, along with some of the other key witnesses, in the Barrier Miner, a NSW paper which continues to reward me with articles about my Western Victorian family. It is becoming a reliable but most unlikely source. After two trials, the jury retired to decide its verdict. According to the Canberra Times, thousands waited on the street outside the court to hear the decision. Ronald Griggs was acquitted, however, his infamy dogged him. He changed his name and continued to preach, but as his photo was seen around the country, he was found out. He struggled to find work and the newspapers followed him for months after. The Western District connection? Henry was born in Byaduk in 1880 as was his sister Susannah Nash Harman. Susannah married William Condon, a cousin of Lottie’s father John. The Condons first settled in the Portland area, before some of the family moved to Omeo. Lottie’s mother Frances Ethel Huggins was born at Macarthur in 1883 and she and some of her siblings moved to the Omeo area around 1888. Around the same time, Henry’s father Walter Harman took his family from the Macarthur district to the High Country. 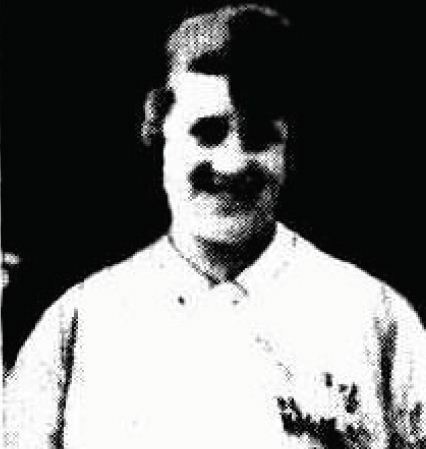 Finally, the “Body under the staircase” trial of fishmonger Thomas Garrity, charged with the murder of widow Rose Harvey on April 28, 1931. Rose had met up with Garrity for a few drinks at a local hotel and they returned by tram to the residence adjoining Garrity’s shop in Port Melbourne. Police later found Rose’s body stuffed in a cupboard under the stairs of the residence. 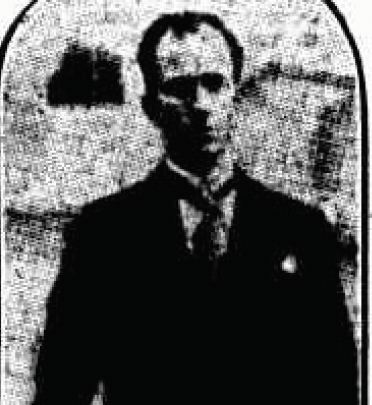 Percy Riddiford was a 27-year-old, single man from Ballarat, boarding at his brother’s home in Port Melbourne. He worked on the trams, based at the Camberwell depot and happened to be working the day Thomas Garrity and Rose Harvey travelled his route. As a result, he was required to appear as a witness to assist in determining the movements of Garrity on that day. Garrity claimed that unknown men had visited his home on that night, proceeded to get him drunk then robbed his till. He claimed they must have killed Rose. The judge considered Garrity could not have put her body under the stairs without help and reduced his charge to manslaughter. He received eighteen months jail with hard labour. Garrity pleaded his innocence after sentencing. This was an event in my grandfather’s life he kept to himself. The first my father and uncles had heard of it was when I told them of the articles I had found. He was one to keep things to himself, so it was good to find out something of his early life.